^ "Rostov-on-Don. Jewish Family History Organisation. Accessed 19 July 2012". Jewishfamilyhistory.org. 2006-03-09. Retrieved 2013-07-19. ^ "World Map of Köppen−Geiger Climate Classification" (PDF). Retrieved 2013-07-19. ^ "Архив данных о погоде в Ростове-на-Дону. (in Russian)". Pogoda.ru.net. Retrieved 2013-07-19. ^ "Rostov–Na–Donu (Rostov–on–Don) Climate Normals 1961–1990". National Oceanic and Atmospheric Administration. Retrieved 12 February 2017. ^ "Взгляд". Vz.ru. Retrieved 2013-07-19. ^ "Rostov-on-Don: Quiet Flows the Don Filatova, Irena. The Moscow Times. Accessed July 19, 2012". 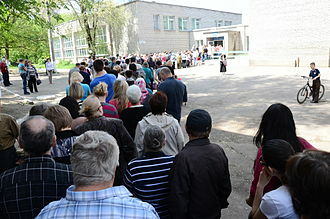 Themoscowtimes.com. Retrieved 2013-07-19. ^ "Airport.com. Accessed 20 July 2012". Airport.airlines-inform.com. Retrieved 2013-07-19. ^ "Контакты авиакомпании. Accessed 29 June 2010. "Адрес: 344009, г. Ростов-на-Дону, пр. Шолохова, 272."". Aeroflot-don.ru. 2013-07-15. Retrieved 2013-07-19. ^ Grishchenko, Nikolay (27 March 2017). "В Ростове аэропорт Платов построят к ЧМ-2018 раньше срока" (in Russian). Rossiyskaya Gazeta. Retrieved 4 June 2017. ^ "ROSTOV-ON-DON: Port's Details". Marinetraffic.com. Retrieved 2013-07-19. ^ "Rostov-on-Don shipping information. Marinetraffic.com. Accessed July 20, 2012". Marinetraffic.com. Retrieved 2013-07-19. ^ "Автоматизация телефонной связи". Computer-museum.ru. Retrieved 2013-07-19. ^ "Ростов-на-Дону перешёл на семизначную нумерацию городских телефонов". Sotovik.ru. 2004-11-30. Retrieved 2013-07-19. ^ Энциклопедия "Мой город", Ростов-на-Дону (in Russian). Mojgorod.ru. Retrieved 2013-07-19. ^ "Бушнов Михаил Ильич на сайте". Kino-teatr.ru. Retrieved 2013-07-19. 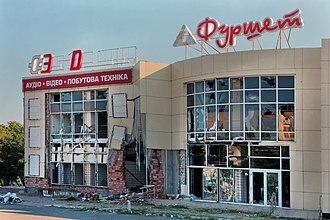 ^ "Ростовский цирк". Cirk.webrostov.ru. June 19, 2013. Archived from the original on February 6, 2009. Retrieved July 19, 2013. ^ "Synagogues and Jewish prayer houses of Rostov-on-Don". 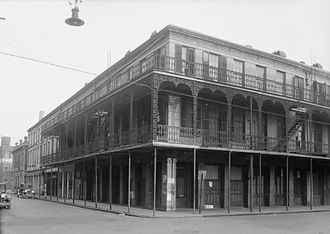 Jewishfamilyhistory.org. Retrieved 2013-07-19. ^ "Rostov-on-Don Diamond Way Buddhist Center of the Karma Kagyu Tradition (In Russian)". Rostov.buddhism.ru. Retrieved 2013-07-19. ^ "Отдел внешних связей, Официальный портал городской Думы и Администрации города. Ростов-на-Дону. Город Воинской Славы". Rostov-gorod.ru. Retrieved 2013-07-19. Законодательное Собрание Ростовской области. 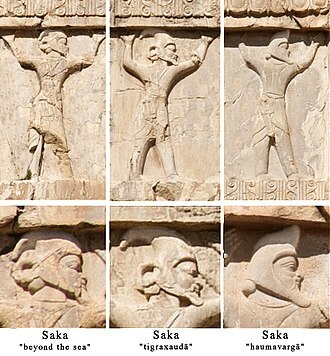 Закон №238-ЗС от 27 декабря 2004 г. «Об установлении границы и наделении статусом городского округа муниципального образования "Город Ростов-на-Дону"», в ред. Закона №153-ЗС от 28 ноября 2008 г «О внесении изменений в областные Законы "Об установлении границы и наделении статусом городского округа муниципального образования "Город Ростов-на-Дону", "Об установлении границ и наделении соответствующим статусом муниципального образования "Аксайский район" и муниципальных образований в его составе" и "Об административно-территориальном устройстве Ростовской области"». Вступил в силу 1 января 2005 г. Опубликован: "Наше время", №339, 29 декабря 2004 г. (Legislative Assembly of Rostov Oblast. 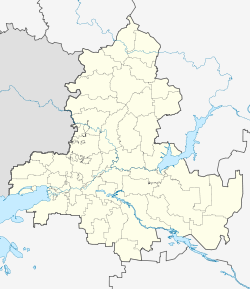 Law #238-ZS of December 27, 2004 On Establishing the Border and Granting Urban Okrug Status to the Municipal Formation of the "City of Rostov-na-Donu", as amended by the Law #153-ZS of November 28, 2008 On Amending the Oblast Laws "On Establishing the Border and Granting Urban Okrug Status to the Municipal Formation of the "City of Rostov-na-Donu", "On Establishing the Borders and Granting an Appropriate Status to the Municipal Formation of "Aksaysky District" and to the Municipal Formations It Comprises", and "On the Administrative-Territorial Structure of Rostov Oblast". Effective as of January 1, 2005.). Ростовская-на-Дону городская Дума. Решение №267 от 3 декабря 1996 г. «Об утверждении положения "О символах г. Ростова-на-Дону"», в ред. Решения №507 от 13 августа 2013 г «О внесении изменений в Решение Ростовской-на-Дону городской Думы "Об утверждении Положения "О символах г. Ростова-на-Дону"». Вступил в силу 31 декабря 1996 г. Опубликован: "Ростов Официальный", №51–52, 1996. (Rostov-on-Don City Duma. Decision #267 of December 3, 1996 On Adopting the Provision "On the Symbols of the City of Rostov-on-Don", as amended by the Decision #507 of August 13, 2013 On Amending the Decision of the Rostov-on-Don City Duma "On Adopting the Provision "On the Symbols of the City of Rostov-on-Don". Effective as of December 31, 1996.). Gomel is the administrative centre of Gomel Voblast and with 526,872 inhabitants the second-most populous city of Belarus. 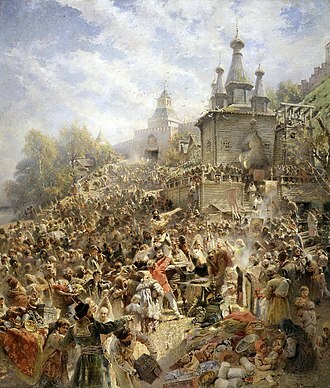 There are at least six narratives of the origin of the city’s Belarusian name, one of the more plausible is that the name is derived from the name of the stream Homeyuk, which flowed into river Sozh near the foot of the hill where the first settlement was founded. Names of other Belarusian cities are formed along these lines, for example, the name Minsk is derived from the river Menka, Polatsk from the river Palata, and Vitsebsk from the river Vitsba. 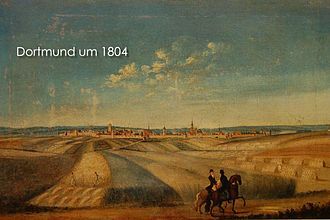 In historical sources from 1142 to the 16th century, the city is mentioned as Hom, Homiy and these forms are tentatively explained as derivatives of an unattested *gomŭ of uncertain meaning. 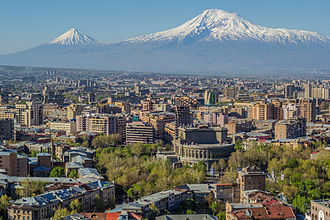 The modern name for the city has been in use only since the 16th–17th centuries, during the Soviet period, another story about the citys name was popular, raftsmen on the river Sozh supposedly warned each other about the danger of running into sandy shallows by shouting «Ho. A more recent narrative, propagated by some researchers, is that the name is derived from an ancient Belarusian greeting, «Dats u homel». Gomel was founded at the end of the 1st millennium AD on the lands of the Eastern Slavic tribal union of Radimichs and it lays on the banks of the Sozh river and the Homeyuk stream. Sozhs high right bank, cut through by canyons, provided a natural fortification, for some time, Gomel was the capital of the Gomel Principality, before it became part of the Principality of Chernigov. 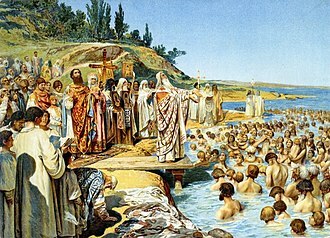 Gomel is first mentioned in the Hypatian Codex under the year of 1142 as being territory of the princes of Chernigov, under Oleg, Gomel went to the Principality of Novhorod-Siverskyi. 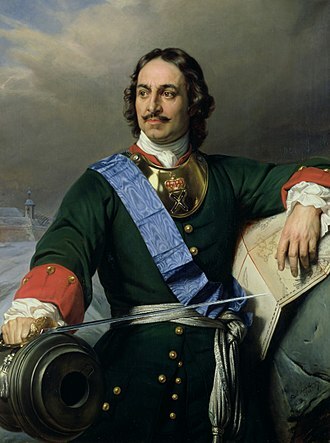 The next ruler was Igor Svyatoslavich – the hero of The Tale of Igors Campaign, during this period, the town was a fortified point and the centre of a volost. 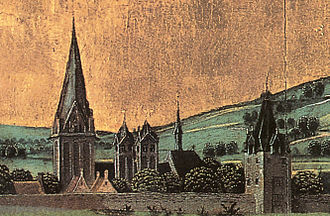 In the 12th–13th centuries the area was not less than 40 ha. 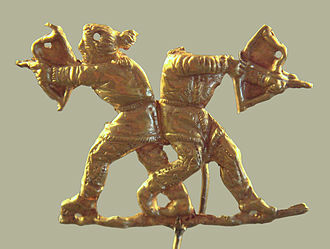 Archeological data have shown that the city was damaged during the Mongol-Tatar assault in the first half of the 13th century. In 1335, the Gomel region was joined to the Great Duchy of Lithuania by Algirdas, during the Second Muscovite-Lithuanian War of 1500–1503 Lithuania tried to regain Gomel and other lands transferred to Moscow, but suffered defeat and lost one-third of its territory. In 1535, Lithuanian and Polish forces under Jerzy Radziwiłł, Jan Tarnowski and Andrzej Niemirowicz re-captured the city after the surrender of Moscows deputy, in the same year, the Great Duke of Lithuania Sigismund Kęstutaitis founded the Gomel Starostwo. 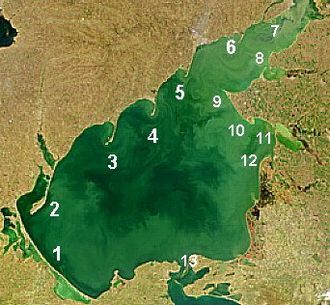 According to the agreement of 1537, Gomel together with its volost remained a Lithuanian possession. In 1535–1565 Gomel is the centre of starostwo, and from 1565 onwards Gomel is in the Rechytsa Powiat of the Minsk Voivodeship, in 1560, the citys first coat of arms was introduced. 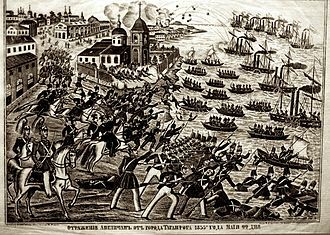 In 1569, Gomel became part of the Polish-Lithuanian Commonwealth, from this moment on, the city became the arena of numerous attacks and battles between Cossaks and the Polish-Lithuania Commonwealth. In 1572, Gomel Starostwo was given to B, at the beginning of the 1570s, Gomel was captured by the forces of Ivan the Terrible, but in 1576 it was re-captured by J. A river delta is a landform that forms from deposition of sediment carried by a river as the flow leaves its mouth and enters slower-moving or standing water. 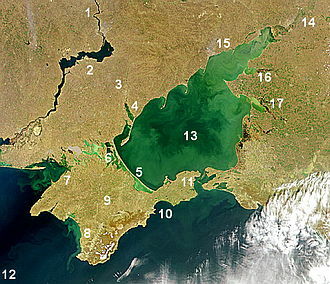 This occurs where a river enters an ocean, estuary, reservoir, River deltas are ecologically important as they provide coastline defense, are home to many species, and can impact drinking water supply. The tidal currents cannot be too strong, as sediment would wash out into the body faster than the river deposits it. Of course, the river must carry enough sediment to layer into deltas over time, the rivers velocity decreases rapidly, causing it to deposit the majority, if not all, of its load. 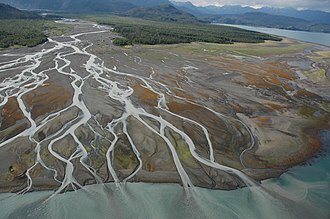 This alluvium builds up to form the river delta, when the flow enters the standing water, it is no longer confined to its channel and expands in width. This flow expansion results in a decrease in the flow velocity, as a result, sediment drops out of the flow and deposits. Over time, this single channel builds a deltaic lobe, pushing its mouth into the standing water, as the deltaic lobe advances, the gradient of the river channel becomes lower because the river channel is longer but has the same change in elevation. As the slope of the channel decreases, it becomes unstable for two reasons. First, gravity makes the flow in the most direct course down slope. If the river breaches its natural levees, it out onto a new course with a shorter route to the ocean. Second, as its slope gets lower, the amount of stress on the bed decreases, which results in deposition of sediment within the channel. This makes it easier for the river to breach its levees, often when the channel does this, some of its flow remains in the abandoned channel. When these channel-switching events occur, a mature delta develops a distributary network, another way these distributary networks form is from deposition of mouth bars. When this mid-channel bar is deposited at the mouth of a river and this results in additional deposition on the upstream end of the mouth-bar, which splits the river into two distributary channels. A good example of the result of this process is the Wax Lake Delta, in both of these cases, depositional processes force redistribution of deposition from areas of high deposition to areas of low deposition. Antalya is the fifth most populous city in Turkey and the capital of its eponymous province. The city that is now Antalya was first settled around 200 BC by the Attalid dynasty of Pergamon, Roman rule saw Antalya thrive, including the construction of several new monuments, such as Hadrians Gate, and the proliferation of neighboring cities. 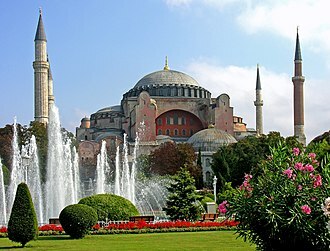 The city has changed several times, including to the Byzantine Empire in 1207. 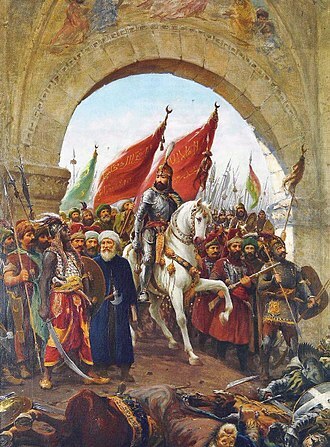 Ottoman rule brought peace and stability for the next five hundred years. The city was transferred to Italian suzerainty in the aftermath of World War I, Antalya is Turkeys biggest international sea resort, located on the Turkish Riviera. Large-scale development and governmental funding has promoted tourism, a record 12.5 million tourists passed through the city in 2014. Antalya was the host city for the 2015 G-20 summit and the EXPO2016, in 2015, the population was 2.288 million. The city was founded as Attaleia, named after its founder Attalos II and this name, still in use in Greek, was evolved in Turkish as Adalia and Antalya. Attaleia was the name of a festival at Delphi and Attalis was the name of an old Greek tribe at Athens, despite the close similarity, there is no relationship to the name Anatolia. King Attalus II of Pergamon is looked on as founder of the city in about 150 BC and it was named Attaleia or Attalia in his honour. The city served as a base for Attalus powerful fleet. Excavations in 2008, in the Doğu Garajı plot, uncovered remains dating to the 3rd century BC, suggesting that Attalea was a rebuilding and expansion of an earlier town. Attalea became part of the Roman Republic in 133 BC when Attalus III, the city grew and prospered during the Ancient Roman period and was part of the Roman province of Pamphylia Secunda, whose capital was Perga. And when they had spoken the word in Perga, they went down to Attalia, some of the bishops attributed to the episcopal see of Attalea in Pamphylia may instead have been bishops of Attalea in Lydia, since Lequien lists them under both sees. No longer a residential bishopric, Attalea in Pamphylia is today listed by the Catholic Church as a titular see, the 13th-century Seljuk mosque at Attalea, now in ruins, had been a Christian Byzantine basilica from the 7th century. Cheongju is the capital and largest city of North Chungcheong Province in South Korea. Cheongju has been an important provincial town since ancient times, during Hideyoshis Invasions of Korea, Cheongju was the site of the Battle of Chongju, during which the Korean forces re-took the city from the Japanese forces in an important early victory. The government of the province relocated here from Chungju in 1908, the opening of the Chungbuk-line in 1926 sparked regional development. In 1946, Cheongju and Cheongwon-gun were separated, and in 1949, geum River goes through right center of Cheongju city. Additionally, the tributaries of Musim and Miho flow together in part of city. To east and west, there are mountains of Wuam and Bumo, musimcheon River goes through the middle of Cheongju city. Cheongju is a zone, so there are four seasons. Sangdangsanseong lies on the slopes of Mt. Uam within the city limits, the fortress is mainly a 3-to-4-metre-tall wall that stretches over 4.2 kilometres in circumference. 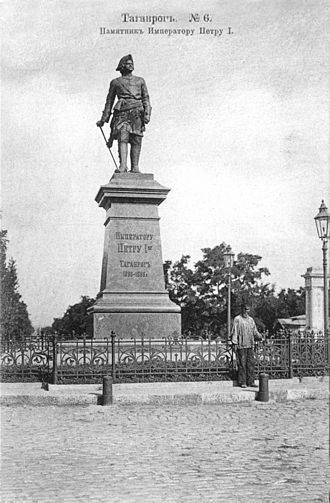 Statue of St. Dimitry of Rostov in front of the Rostov-on-Don cathedral. A cossack in the Fortress of Saint Dimitry, 1774.